Washington State’s Liquor Control Board has selected an independent auditor to select the final winners of 334 recreational cannabis retail licenses. The lottery will be held April 21-25th; winners will be notified May 1st and then be made public May 2nd. Although the State received 2,100 retail applications by the December deadline, only about 1,000 have made it through to this final round. About 500 applicants did not return their qualification paperwork to the State on time, despite having 30 days to fill out their paperwork and multiple notices and reminders. Another 20-50% have been disqualified for returning incomplete paperwork. The lottery will be conducted by Kraght-Snell, an independent accounting firm that also runs Washington’s Lottery, together with the Social and Economic Sciences Research Center of Washington State University. Just curious how all of the retail applicants managed to have their criminal background checks back and verified, while most of the producers/processor applicants are still waiting for theirs. What will the retailers sell with only a half dozen or so producers approved by the beginning of April? The LCB emphasis was supposed to be on approving Producers/Processors first, what happened? Thank you for this helpful article! I cited it in my blog post “Cannabis Economics: Questioning the Licensing Costs in Washington State” where I start down the pot hole to figure out what the costs are to businesses and where the money is going. 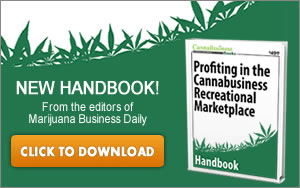 Read my first post in a series on the Economics of Cannabis @ bit.ly/1tfaMB3 Thanks!